Because indoor fountains are not popular in many cultures, many people do not consider using them as a part of their home decor. However, many people do not realize that an indoor fountain can provide many positive effects on their health and well-being. Indoor and wall mounted water fountains increase the beauty of your home and are very relaxing. People around the world understand that an indoor fountain can help to bring the outdoors inside their homes or offices. In the last ten years, there has been a large increase in the number of an indoor water fountain and wall water fountain installations because of the health benefits and the aesthetic appeal of water fountains. What do Health Benefits Do Indoor Fountains offer? Science has proven that the sound of running water produces a relaxing and almost zen atmosphere. The sounds of water movement help to relax and soothe the soul. Flowing water can affect the subconscious, which is why running water helps to calm body, mind and spirit. There are numerous indoor water fountains that can produce a sound that is loud enough to be heard throughout your home or your office. These fountains typically contain a control valve that helps you control the flow of water and the amount of sound produced from the water fountain. Life is stressful. You may be inundated with loud noises like noisy traffic, dogs barking, loud music and people talking. Unless your home or your office is soundproofed, you will be subjected to these loud noises. Loud noises can interfere with your sleep as well as make concentrating on work difficult. An indoor water fountain can provide white noise to help drown out background noise so that you can sleep better and work efficiently. In addition to masking noise, an indoor fountain can help calm you. Running water reduces stress level and can help lower stress hormones. When you have an indoor fountain in your home or office, your joints and muscles tend to relax. If you have one in your bedroom, your sleep quality and mood can improve dramatically. Most people live a very busy and stressful life, which is why adding an indoor fountain into your life is so important to help you relax and decompress. 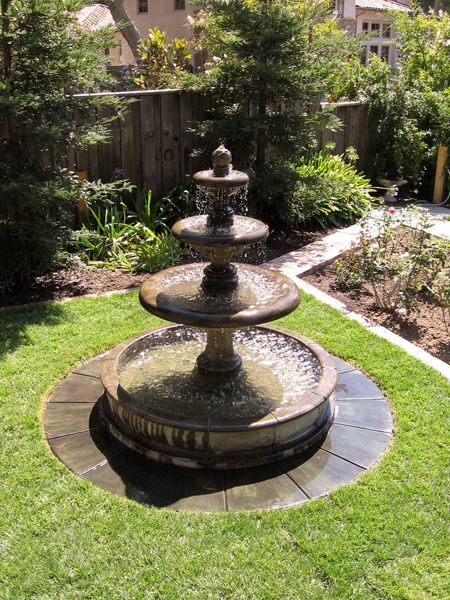 Indoor fountains from Indoor Fountain Pros can help to improve your physical health. First, an indoor fountain helps to clean and purify the air in your office or home. Studies have reported that the negative ions that are emitted as water evaporate from your indoor fountain can help cleanse the air. When your home or office is filled with clean air, your health and concentration levels will improve. Finally, an indoor fountain helps to remove irritants and dust from the air, which will improve the quality of the air. Indoor fountains can also increase the humidity in your home or office. During the winter, the air can become dry and cause nosebleeds, irritation and a number of health issues. As the water from your fountain evaporates, the humidity in your home increases. Additionally, an indoor fountain helps to purify and cleanse the air. Adding an indoor fountain can help bring balance and harmony to your home or office and act as a natural prevention for illness. Furthermore, the soothing sounds are better than humidifiers and help to complement your home’s or office’s decor. The health benefits that an indoor fountain provides is the perfect reason to invest in an indoor fountain. In addition to the health benefits, an indoor fountain helps to improve the beauty of your home or office by creating a relaxing environment.